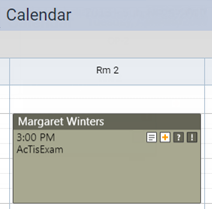 You can delete an appointment at any time. 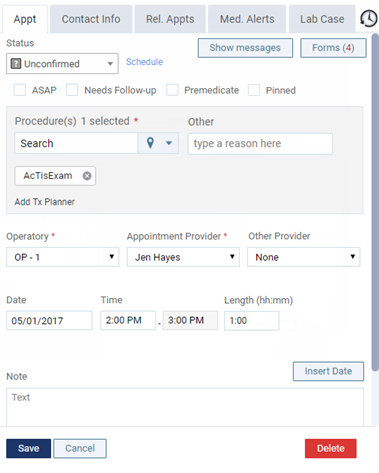 Do not delete an appointment in cases where the patient cancels or misses his or her appointment; instead, change the appointment's status. The appointment is removed from the schedule. If the appointment was for a new patient, that patient's record remains in your practice database for future use. what if a patient cancels? there should be a way to cancel the appointment (as opposed to deleting it) so that it is in their record. Change the status of the appointment to "Broken." Click here for more information. So the appt remains on the schedule even after changing status to missed or no show? ?